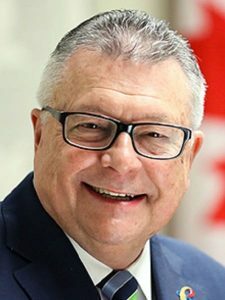 REPRESENTATIVES of the Sikh community and Canadian gurdwaras met with Minister of Public Safety and Emergency Preparedness Ralph Goodale on Monday with respect to the inclusion, for the first time, of “Sikh (Khalistani) Extremism” in Public Safety Canada’s 2018 Public Report on the Terrorism Threat to Canada. In addition to being criticized for using language that unfairly stigmatizes entire religious communities, the inclusion of “Sikh (Khalistani) Extremism” is of deep concern as the report does not point to any current incident of violence or terrorism associated with the Sikh community in Canada. Goodale heard the concerns of the Sikh community and expressed his intention to address the concerns in an appropriate manner. Representatives of the Sikh community and Canadian gurdwaras look forward to an ongoing dialogue and a timely resolution of this matter, according to a press release.